A Delicate Truth starts In 2008, when a civil servant in British Intelligence, known by his alias “Paul Anderson”, is recruited by Foreign Office minister Fergus Quinn to take part in Operation Wildlife, a joint operation with a U.S. military contractor called Ethical Outcomes. Paul is sent to Gibraltar and joins a team composed of British operatives and Ethical employees, directed by Quinn and an Ethical executive named Elliot. The operation becomes compromised when Quinn and Elliot insist that the operatives raid an abandoned house where, despite the absence of proof, they assume a high-ranking jihadist is hiding. When the commandos disappear, Paul is abruptly sent back to Britain by an Ethical liaison, who insists that the operation was a success. Three years later, Quinn’s newly appointed Private Secretary, Toby Bell, becomes suspicious of his secretive nature and his close ties with Jay Crispin, the founder of Ethical Outcomes. Bell sees Quinn with Crispin during diplomatic trips to Brussels, Prague, and Berlin, and learns that the two met during Quinn’s time at Harvard. 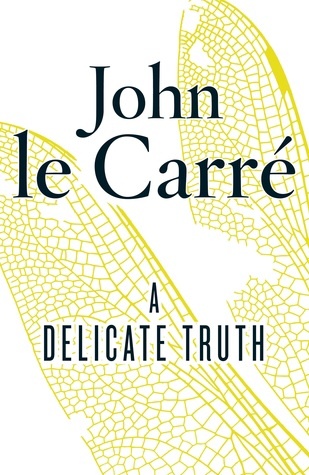 Then After being summoned to the Decaying Cornish Manor House of a retired British Diplomat named Sir Christopher Probyn, a disgraced former SpecialServices Soldier who is supposed to be dead, shows up delivering a message and Bell learns that Quinn was saved from scandal after it was discovered that Crispin was found running a privatised spy shop within the Ministry of Defence; Crispin was supposed to have been removed by the British government, but Bell learns that he meets with Quinn at private parliamentary functions. Concerned that Crispin and Ethical are leading Quinn into another disaster with Wildlife, Toby finds himself having to decide between his conscience and his duty to the Service and asking himself If the only thing necessary for the triumph of evil is that good men do nothing, how can he keep silent?